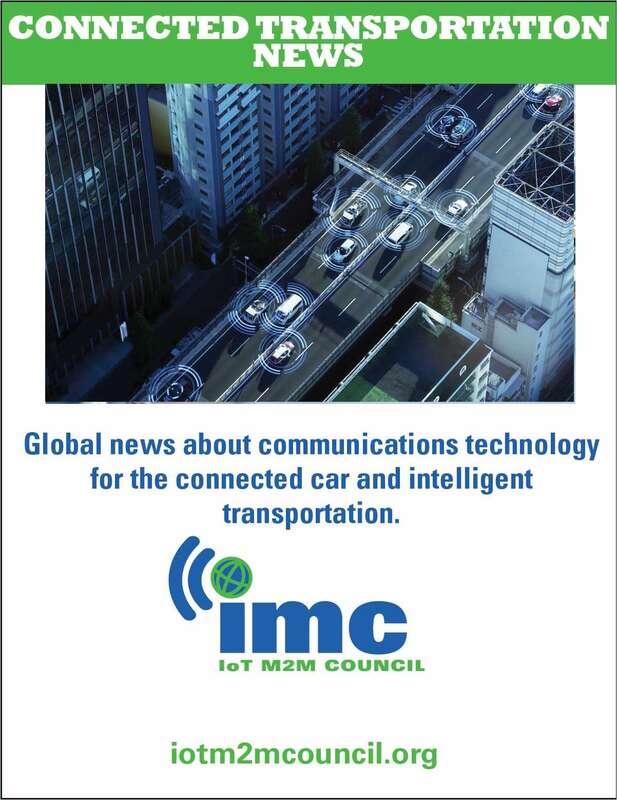 Free eNewsletter: "CONNECTED TRANSPORTATION NEWS"
Global news about communications technology for the connected car and intelligent transportation. By submitting this content request, I have legitimate interest in the content and agree that IoT M2M Council, their partners, and the creators of any other content I have selected may contact me regarding news, products, and services that may be of interest to me. Do you wish to receive a FREE subscription to CONNECTED TRANSPORTATION NEWS? Do you wish to receive relevant information from the IoT M2M Council? Do you wish to receive relevant information about the IoT sector from other IMC members? What is the organizational level of your position? What is your principal job function? Do you specify, recommend, approve, or influence purchasing decisions regarding M2M equipment, software, or services? Complete and verifiable information is required in order to receive this subscription. • Geographic Eligibility: International. • The publisher determines qualification and reserves the right to limit the number of free subscriptions.